When Samba Days asked us to be Sambassadors for Adventures in our own backyard, we weren't expecting to have a thrill of a flight of lifetime above the spectacular skyline of Toronto, Canada. 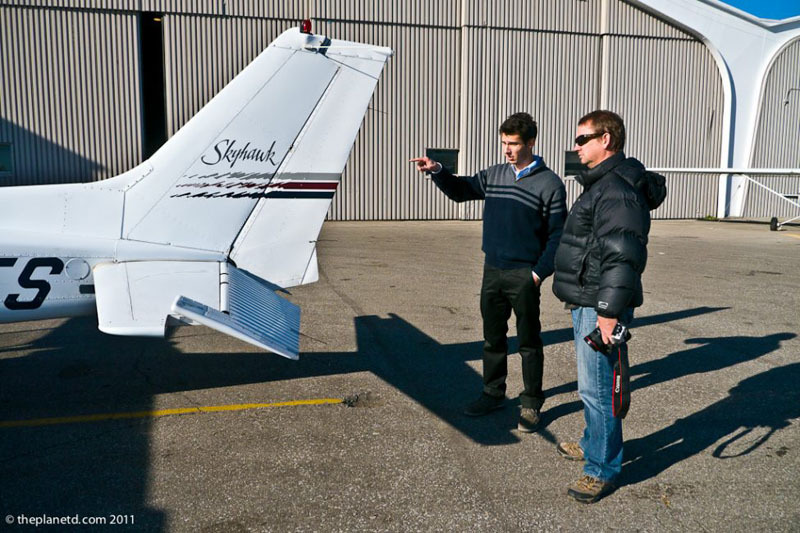 While perusing their many gift options for the adventure lover, we knew immediately that we'd be booking a flying lesson over Canada's largest city. What we didn't realize is how much of a thrill we were going to have. Dave has already jumped out of a plane and I have flown my own stunt plane doing aerial maneuvers in New Zealand, so we had a feeling that this flight would be a little tame. Boy were we wrong! 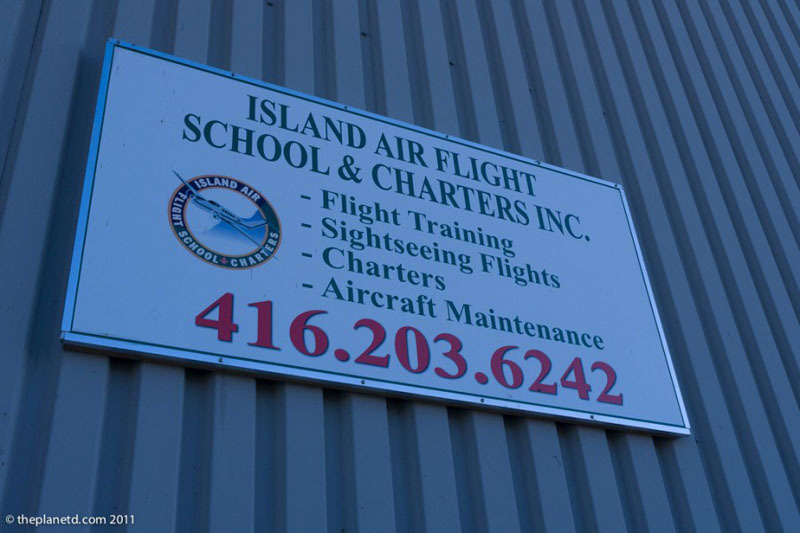 We hopped a ferry to Toronto Island to catch a flight with Island Air at Billy Bishop Airport. It's a small airport but that didn't stop us from getting lost trying to find the office. Situated between two hangers, we spotted the door to the flight school and entered the bustling office for our lesson. There's a lot of rich people in Toronto as it seems everyone is looking to take flying lessons. We were greeted by Anthony, a friendly instructor who immediately put us at ease. Part of the Samba Days gift package is to get a tour of the plane as the pilot checks it all out for the flight. He walked around the aircraft showing us what to watch out for such as loose rivets, bald tires and checking to make sure that the plane was filled with the proper fuel. Whew, Looks like our plane is in Tip Top Shape. 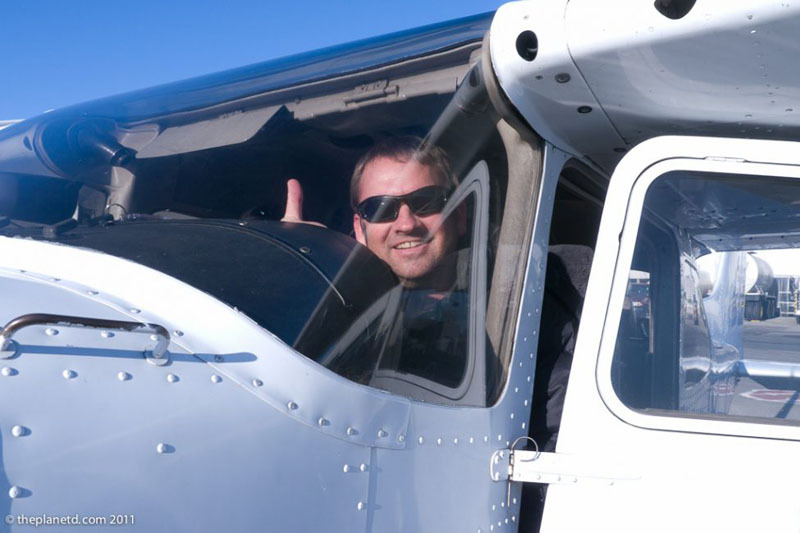 Since I had already been behind the controls once in New Zealand with U-Fly Extreme, it was Dave's turn to have his first flying lesson so he took the front seat. Within a half hour or so we were on the runway waiting for air traffic control to give us the go ahead. Anthony immediately had Dave take control of the plane by using the foot pedals to steer us down the runway. Luckily Anthony took over the controls for take-off . Then in one fell swoop we were into the air. 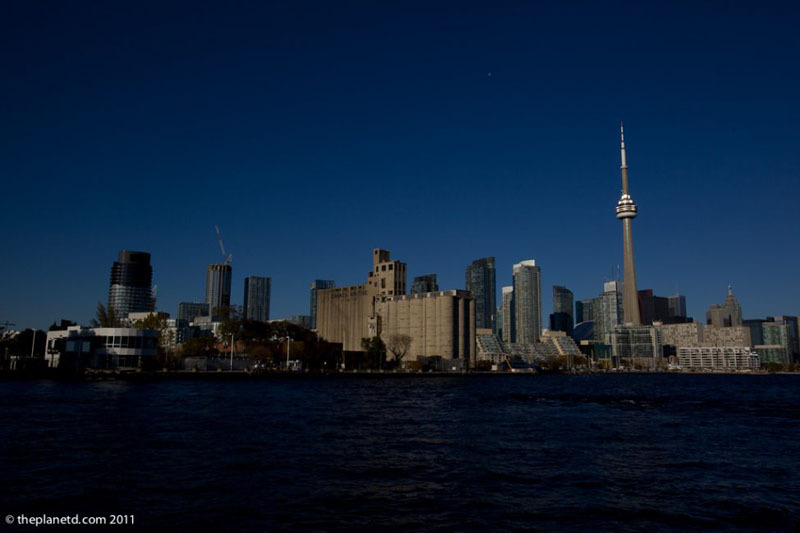 Soon we were flying by the CN Tower and Skydome, we could see the Harbourfront and Toronto Island. We couldn't have asked for a better day as the sun was shining, the sky was blue and the air was clear. Dave took over the controls and practiced banking from right to left. The plane was remarkably easy to handle. At one point, Anthony had Dave take his hands off the controls and they both went hands free. This plane just flew on autopilot without being on autopilot. Knowing that we were thrill seekers, it wasn't long before Anthony took control of the wheel and had us do some serious banks spiralling down towards the ground. We did a few turns one way and then the other. It was enough to make me a little woozy in the back seat, but that didn't stop Dave from chanting“Can We Do it Again! Can We Do it Again!” Naturally Anthony complied and we did it again. After our spirals, he asked if we would like to go weightless. Now apparently I should have felt this in New Zealand considering I flew upside down and did loop dee loops in the air, but I do not remember this sensation. He climbed high into the sky and then immediately went for a nose dive (at least that's what I think he did, I couldn't be sure as I was mesmerized in the back seat) However, within seconds, we felt completely weightless. I could imagine what it felt like to be in space. And then as fast as it happened, it was over. This time however, Air traffic control put a height restriction on our aircraft and we had to lower our elevation. It was now time for the scenic portion of our flight. Just because it's scenic doesn't mean it's not thrilling. We still did a lot of turns and banks and flew close to the sky scrapers of Toronto. The skies were filled with small aircraft and we had to keep an eye out for several planes. Well, Anthony had to keep an eye out for the dozens of planes in the sky, he just pointed them out to us as we pretended that we saw the specks in the sunlight. A pilot has to be on their toes when flying in Toronto. There are commercial airlines, float planes and small crafts flying around everywhere. At one point he let air traffic control know that he wanted to fly out over the water to give us a better look at the island. The grounds reply was, we're a little busy right now, can you fly around for a bit and get back to us in a minute? I can't imagine what those guys and gals have to go through watching the radar. We heard things through the headset like “There's an aircraft coming your way at 3:00. When Anthony asked a little while later about the aircraft, they said, it's now behind you half a mile. 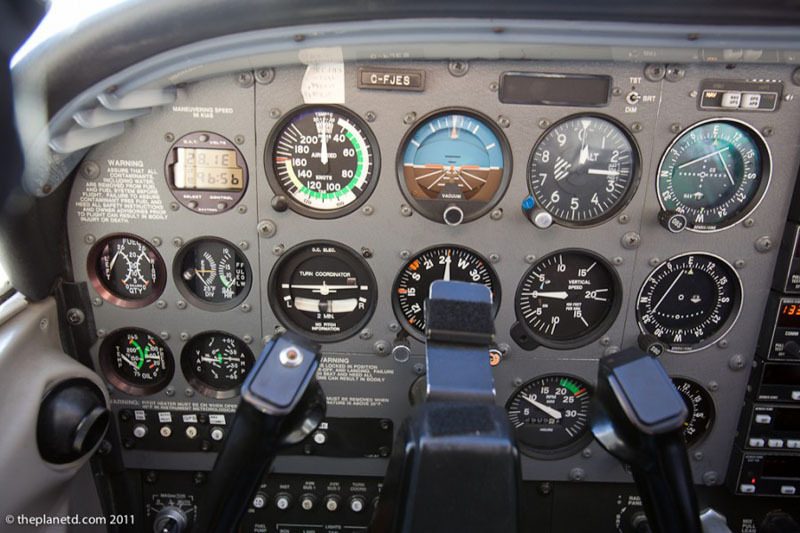 So, not only are you looking out for all the buildings that you're flying through, your looking out for all the other aircraft circling around the place at 280 miles per hour. Anthony remained calm, cool and collected for the duration. An accomplished pilot and flight instructor, he watched out for the planes, kept an eye on Dave and stuck to an interesting flight pattern until it was time to land back at the island airstrip. What a thrill of a lifetime! We were in the sky for about an hour. Between the walk around and the flight, not to mention the cute little ferry ride to the airport, it is an amazing experience for $299. 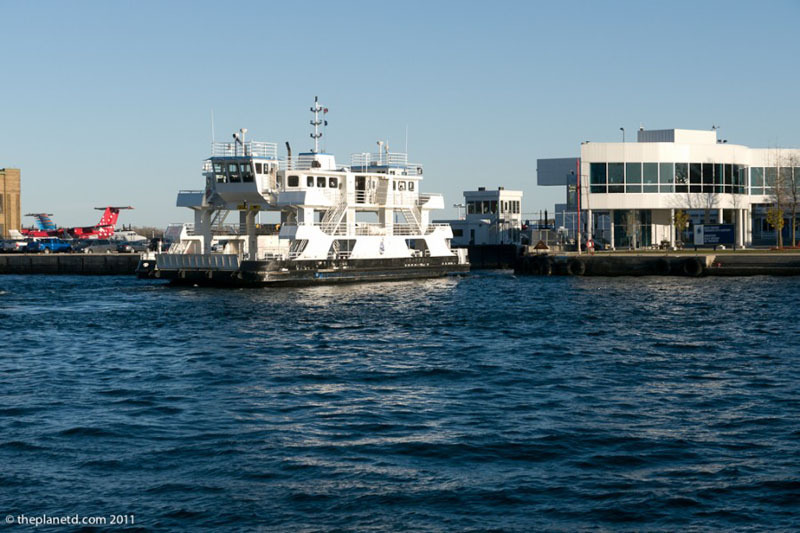 The Ferry is free and if you make sure to park a couple of blocks west of the terminal at Bathurst Street, parking is cheaper than a the airport parking lot. So, the holidays are fast approaching, what better way to treat your loved one to a Scenic Thrill in your own backyard! 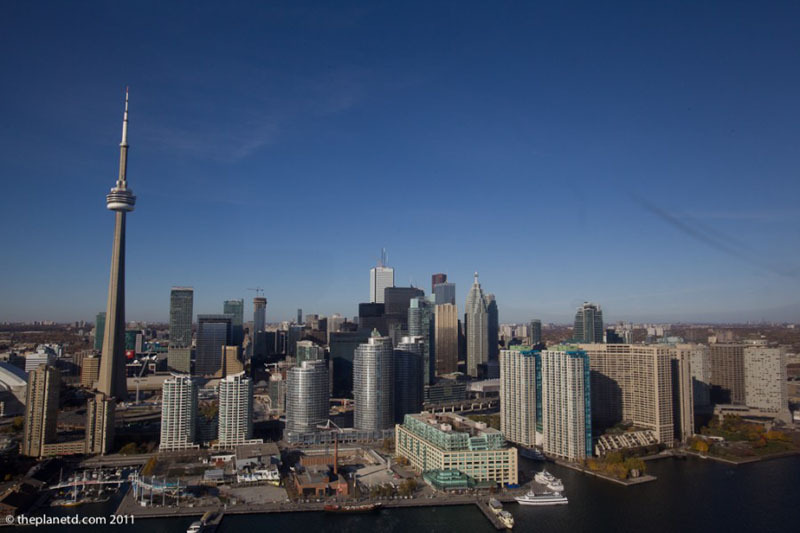 12 Responses to "Toronto Canada, A Scenic Thrill Ride in the Sky"
Wow, what an amazing experience and incredible view from there. I have taken a helicopter ride above the city, but didn’t get to fly it! This is a great deal at $299! Oh woww! I love my city, its so pretty! What an exciting adventure! I CAN see my apartment!! 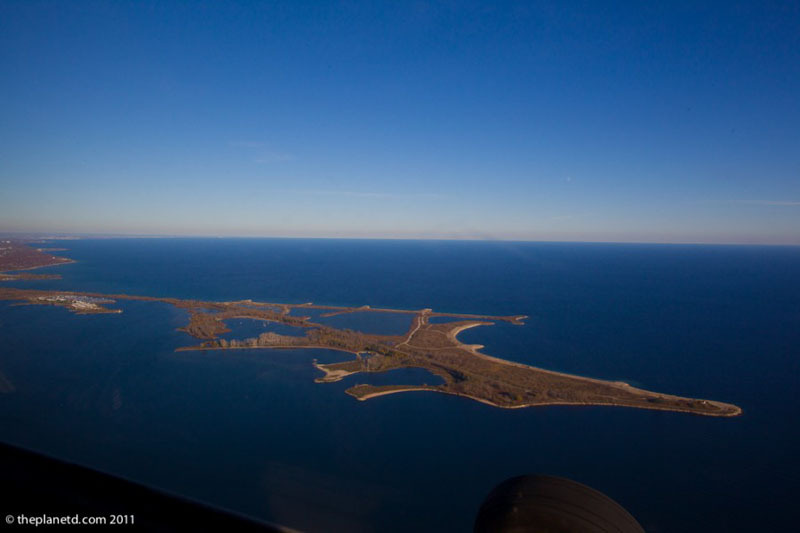 This was awesome – I had no idea you could do this at Billy Bishop. Will have to check it out!! I’ll have to try this out eventually! Haha, We actually saw our old apartment is was pretty cool. I’m glad you liked the video it was an amazing experience. I had a little bit of motion sickness in the back. I put it up to videoing and turning abruptly from side to side especially during the banking turns. When the feeling came up, I just looked out the front window as best I could and it calmed my stomach. I was in the back seat so I could only look from side to side if I wanted to catch the view, where as Dave fared better in the front. When I did the stunt plane flying in New Zealand, I amazingly didn’t feel sick and I was in the front seat there. Motion Sickness can definitely spoil a good flight for sure. What a fantastic thrilling adventure and your photos are amazing! Thanks Jennifer. We had a lucky day with the sky being so clear and blue. It rained the day earlier, so the Sun Gods were definitely smiling upon us.